RUSH: Sean P. Diddy, Puff Daddy, whatever, Combs has weighed in on the news that the Carolina Panthers are gonna be sold. Jerry Richardson, the founder, has found himself embroiled in sexual harassment allegations, claims, and so forth. Big, big, big investigation ensued that was first being conducted by the Panthers, and then the NFL heard about it, and the NFL took over the investigation. After that happened, Jerry Richardson said (imitating Richardson), “You know what? I’m gonna sell this baby. I’m gonna sell the team. I’m gonna get rid of the team after all this time, but I’m not gonna entertain any offers. We’re not gonna talk about this until after the last game of the season’s been played.” The Panthers are in good shape to make the post season, to enter the Super Bowl, playoff tournament. And he says not till the last game of the 2017 season has been played that the Panthers are in, he’s not gonna take any calls or respond to any inquiries about it. He said he would let the former 49er quarterback Colin Kaepernick compete with Cam Newton for the starting job. He also said he would improve the halftime shows, said I’ll have the best halftime shows, the best selection of music, and we’ll win the Super Bowl after Super Bowl after Super Bowl. Robert Kraft, the owner of the New England Patriots, “I like Diddy. Diddy’s a good businessman. He’s a smart businessman. Might be an asset to the NFL.” No, I’m not playing with you. 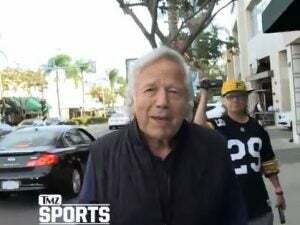 TMZ encountered Robert Kraft on the streets of Beverly Hills with a camera crew, and they asked him about it, and that’s TMZ’s reply. Well, they got video of it. I didn’t play the video, but that’s what they claim that Robert Kraft said, that Diddy is a good businessman, knows him, likes him. (interruption) Mr. Snerdley, stop and think a minute. You actually think any NFL owner is gonna take a public stand opposing an express desire by a member of our oppressed African-American population to want to get in on the ownership club? Do you think any NFL owner is gonna stand up and say, “We don’t want people like that in our league,” like they did with me? You think any of ’em are gonna do that? No. Most of them are gonna fall all over themselves in public talking about how much they love Diddy, they love hanging with Diddy, love Diddying with Diddy, they love going to Jay Z’s sports bar with Diddy, they love Diddy’s music, they love Diddy’s halftime show, they love Diddy. They love Diddy so much they might give him a team. I’m exaggerating. But you don’t think any of them are gonna stand up and say, “Who? We don’t want people like that in our league.” That would never happen. So grab audio sound bite number 19. We now go to Page 6 TV. Last night, syndicated entertainment program. The guest is a radio host on Sirius XM Bevy Smith. 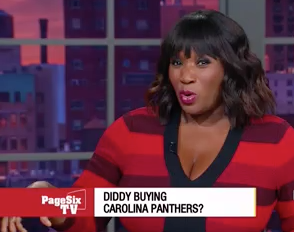 And they’re talking about Diddy saying he wants to buy the Carolina Panthers. SMITH: Here’s the thing, though. It’s not just about the money when it comes to buying a NFL team. The NFL is very concerned about people embarrassing them or making them take a hit to the wallet, so him naming Colin Kaepernick as his quarterback not a good thing in his favor. And also Rush Limbaugh was shut down when he tried to buy the St. Louis Rams because he’s such a controversial figure. So I hope Diddy can do it, I would love to see another African-American not just playing on the field, but it actually owning the team. That is all about ownership. It’s not about being a player. If you have to tell your audience what ownership means, well, if you have to distinguish ownership from being a player — by the way, this idea that I’m controversial, you know, I’ve never understood it. You all listen, everybody that listens to this program pretty much agrees with me. Where is the controversy? RUSH: Oh, by the way, one more thing about the Panthers. They have named an interim COO, chief operating officer. Her name is Tina Becker. She’s been with the Panthers for 19 years. She started as a cheerleader and then became the captain of the cheerleading squad and worked her way up, and now she has been given day-to-day control of the Carolina Panthers. They call their cheerleaders “the Top Cats,” and she was one of them. The story doesn’t say so. The story here is from ESPN, but there’s a picture that has been… (interruption) No, no, no, I’m not cutting anything here. I’m just telling you. I’m just informing you. I mean, Goodell started in the mailroom at the NFL; now he’s the commissioner. This woman started in the cheerleading ranks and has now been named the chief operating officer of the Carolina Panthers. It happened on Monday. It doesn’t give her age here, but I’m gonna guess she’s 39, 40, something like that.